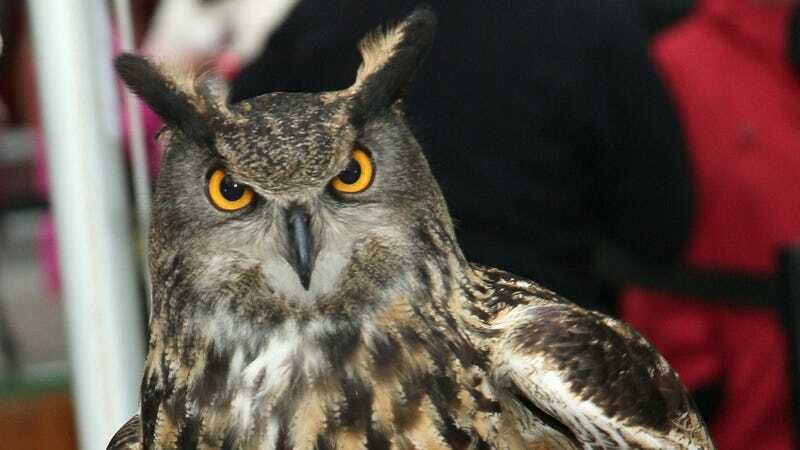 A study by Dr. Peter Johanson, a psychologist at the University of Western Sydney, has found that "night owls" more commonly have the personality traits known as the Dark Triad. Unfortunately, while this sounds delightfully Harry Potter-related, it's just the three domineering forces of dickheadedness: specifically, narcissism, Machiavellianism and psychopathic tendencies. Johanson came upon the results after he surveyed 263 students with questions about their personality traits, social standing and sleep patterns. In addition, those who stayed up later displayed "a higher sense of entitlement and seemed to be more exploitative." (Older studies have also suggested they're more intelligent.) This could be chalked up to evolution, and certain animal species still take advantage of the nighttime to poach mates from their sleeping rivals. Morning larks are most often found in civil servants or accountants; night owls are poets, artists, and apparently infamous dictators. Notorious leaders including Adolf Hitler and Josef Stalin are among those who are known to have stayed up late at night and had displayed these dark personality traits. Yiiikes. Let's pretend I am not writing this at 2 AM, okay? On the other hand, also on Team Night Owl are Bill Clinton, Elvis Presley, Winston Churchill and President Obama. And some famous morning larks: Napoleon, Ernest Hemingway and George W. Bush. Who would you rather go to brunch with? Just saying.